ASSA ABLOY offers multiple locking technologies to help maximize your existing infrastructure and secure more openings in your facility. Dugmore & Duncan can help you figure out what technology will work best for your situation. 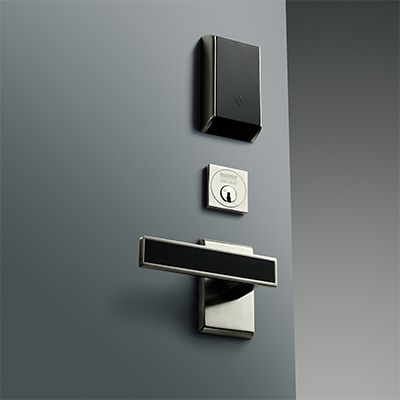 Aperio is a wireless lock technology available in a range of lock types to support a variety of applications. Aperio offers the same real-time communication as traditional access control without the inconvenience of wiring the door. Aperio technology is a global wireless platform that reduces the cost and inconvenience of traditional access control – without the hassle of complex site surveys. It utilizes local wireless communication between the lock and a communications hub to connect to an online electronic access control system. This offers facilities an easy, affordable way to expand the reach of existing access control systems and secure additional openings.